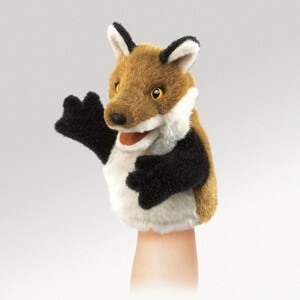 Folkmanis 2941 - Clever Little Fox can amuse with his wit and his classy markings. Movable mouth and paws. Measures 5" x 5" x 7".